Has dad tried our 'Bo Luc Lac' - Riverine Black Angus MBS 2+ beef strip loin wok tossed with black pepper, garlic, oyster sauce and sesame? It's our dad's recipe. 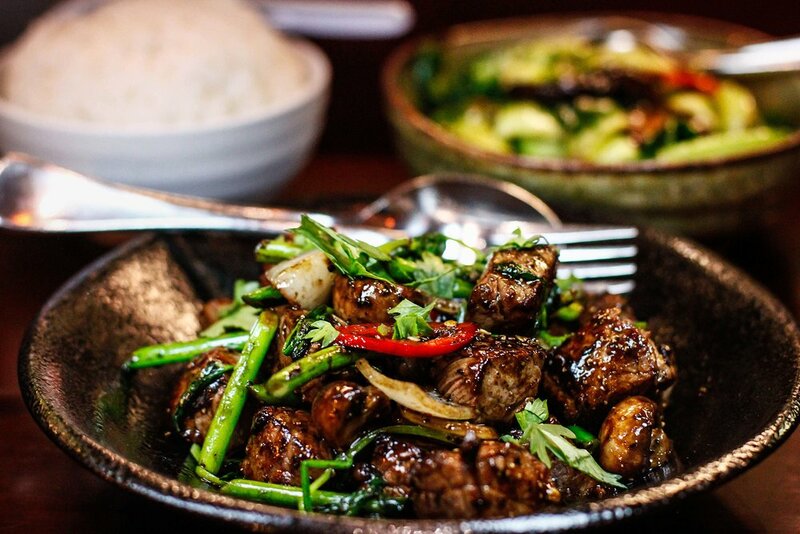 'Bo Luc Lac' literally translates to "shaking beef". A signature dish at Red Lantern since day one. The perfect dish is kissed by the flame of the wok, charred to perfection, producing tender cubes of heaven, all marinated in dad's secret "lucky sauce".